Melissa Krook always knew she wanted a career helping people. That was the easy part. Figuring out how was the challenge. 8-year-old Melissa with her friend Tilly. Early on, Melissa had friends of all ages. 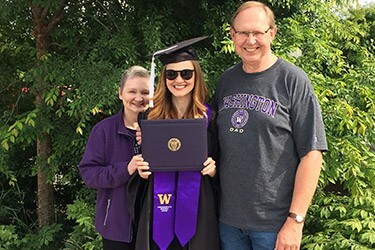 Her grandmother, a nurse, operated an adult family care home within her house in Federal Way, Washington. There, Melissa learned that friends come at all ages and that differences in opinion are an opportunity to learn from one another. Within this multi-generational group, Melissa first felt comfortable speaking her mind. 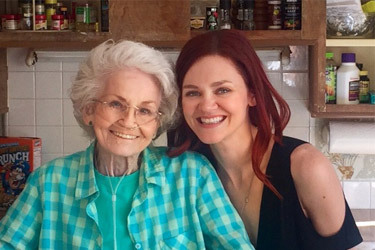 One of her best memories is her friendship with 90-year-old Tilly, who told her all about Seattle in the ’20s and encouraged her to live the life she dreamed. Though she didn’t know it at the time, these experiences would plant the seed for her future career goals in education and psychology. Melissa Krook, ’18, earned a bachelor’s in psychology and is now applying for Ph.D. programs in geropsychology — a field geared toward meeting the needs of older adults. Melissa, with her mentor Carla, in Brazil. Carla developed the ‘psychology of style,’ which so inspired Melissa. After high school, Melissa earned an associate of arts in merchandise marketing and launched her career. She thrived in the fashion industry as a visual merchandiser, fashion writer and marketing strategist, and then opened her own consultancy. One impactful position used the ‘psychology of style’ to help clients feel comfortable within themselves. Through affirmation and self-acceptance, she and her colleagues guided clients toward dressing in a way that felt true to their identity. Inspired to see her favorite creative concepts meaningfully impact people’s lives, Melissa wanted to do more. At this point, close to ten years had passed since earning her associate’s degree. Excited and nervous, she enrolled at Santa Monica College. She loved the way her psychology 101 class dared her to ask critical questions and formulate new theories. Her direction was now set: a B.A. in psychology. When her grandmother needed a caregiver, Melissa moved back to Washington state to take on this role. 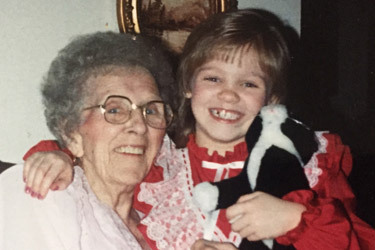 Helping her grandmother navigate the complex health care system and watching the way her grandma was treated solidified her interest in geropsychology, a burgeoning field that applies psychological concepts toward strengthening well-being in later life. Melissa’s interest in the field runs deep. She proudly watched her dad return to school at 53. She remembered the personal connections made with retirement community residents. 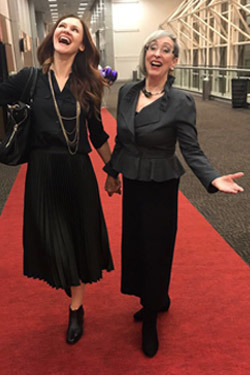 And, her 73-year-old fashion industry mentor inspired Melissa to believe she could return to school in her 30s, and still have plenty of time to build a successful career. Melissa applied to the UW to continue what she started at Santa Monica College, with the long-term vision of earning a graduate degree. Melissa returned to college after a 10-year break, eager to further her education in order to better help people. Melissa and her grandmother. Melissa’s experience as her grandmother’s caretaker solidified her interest in working with older adults. This passion motivated Melissa to immerse herself in research. Melissa applied for a paid full-time internship through the Scan|Design Innovations in Pain summer research program. 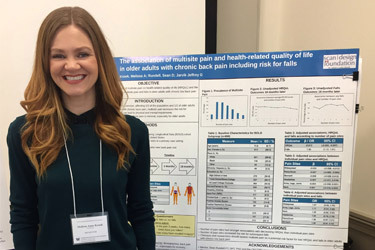 Here, she worked with Dr. Sean Rundell to design and implement a project measuring the relationship between multi-site pain and health-related quality of life in older adults with chronic back pain. She credits this opportunity with helping her decide on a career in research. Melissa’s interest in researching issues facing older adults is timely. The world’s population of those age 60 and over is expected to double by 2050, intensifying the need to better serve people in this demographic. Melissa also received a Mary Gates Research Scholarship to support her work with Dr. Peter Vitaliano researching stress and coping in older adults. Her current project explores ways to help older adults better prepare for natural disasters. More than half of those who died in Hurricane Katrina were over 65. During Hurricane Irma, 12 older adults died due to poor preparations. Melissa is investigating why. Based in part on the Socioemotional Selectivity Theory — a theory suggesting that people prefer positive information as they age — Melissa will run focus groups to learn more about the reasons older adults are often under prepared for natural disasters and factors that may motivate them. She hypothesizes that if we could put a positive spin on disaster readiness, we could help older adults better prepare. Eager to share her learnings so far, Melissa is creating a resource guide for organizations that serve older adults. She’s also currently applying for funding to test an idea which will ask older adults to help their loved ones with disaster readiness. She believes that by helping loved ones prepare, older adults would also take steps to better prepare themselves. Melissa has presented her research at several conferences, including the American Psychological Associaton’s, the National Conference on Undergraduate Research and the UW’s Undergraduate Research Symposium. She earned both a Ruth G. Hagenstein Research Travel Award and two Undergraduate Research Program Research Conference Travel Awards to attend national conferences. She presented at the National Conference on Undergraduate Research in Oklahoma and the American Psychology Association Conference (APA) in San Francisco. Presenting in front of prominent psychologists and peers was intimidating and exhilarating. Melissa credits these experiences with helping her feel more confident in her work and more focused on her next steps. “Being involved in the undergraduate research program has been a life-changing experience for me,” she says. Through her experiences with research, Melissa is confident that a Ph.D. in geropsychology is the right career for her, and is actively working on several scholarship applications to fund her graduate studies, including the Fulbright U.S. Student Program, the Marshall Scholarship, the Gates Cambridge Scholarship and the National Science Foundation Graduate Research Fellowship. She is one of the campus nominees for the Marshall Scholarship, which would fund two years of graduate studies at universities in the UK. With her parents on graduation day. 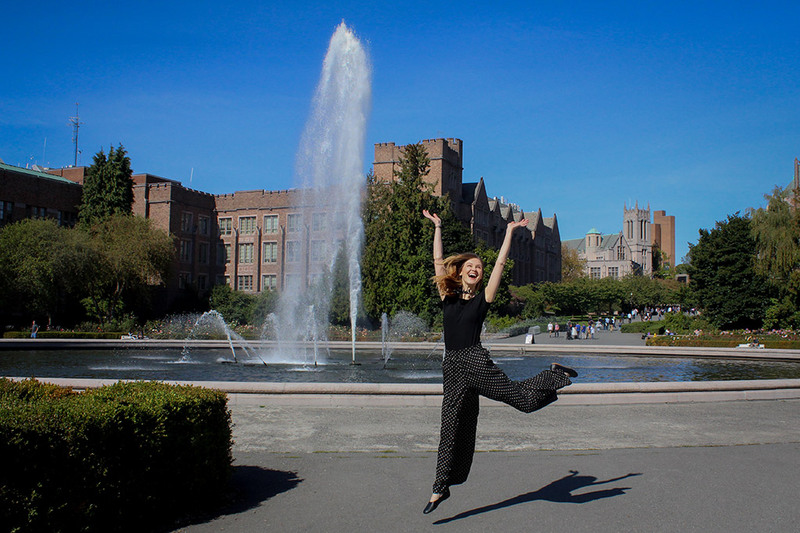 With the guidance of Robin Chang, director of the Office of Merit Scholarships, Fellowships and Awards, Melissa has mapped out the deadlines and necessary steps to complete these applications. The applications require you to get specific about long-term goals and research projects. Melissa’s career goals are now clear: become a leading voice against ageism; help end stereotypes that a person’s value ends in their youth; use clinical work and research to improve health outcomes and quality of life for older adults; and, stay involved with the Age-Friendly Seattle Coalition, a global World Health Organization initiative that promotes strategies for communities to become better places to grow old. 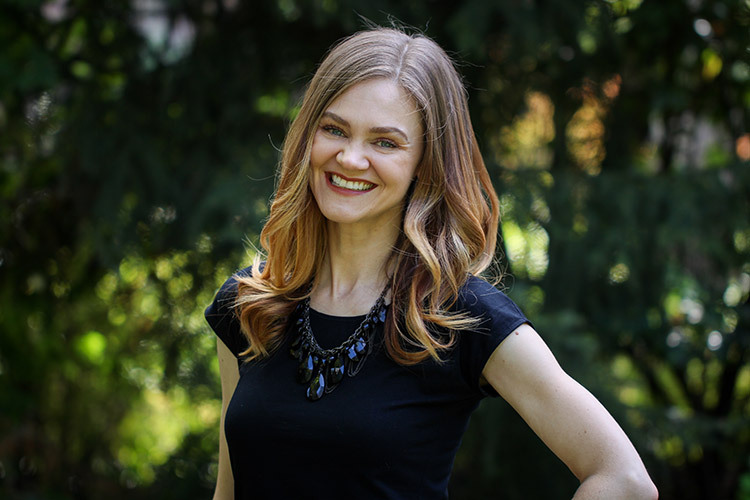 Regardless of the outcome of her scholarship applications or current research project, Melissa is determined to make a positive impact on the lives of older adults.